Claire Nix is a business coach to "Proverbs 31 Mompreneurs" and a digital media strategist. She is passionate about helping women seek Jesus, prioritize their families, and create a successful, fun business that allows them to find purpose in addition to caring for young children. She is a wife (to her high school sweetheart) and a mom to two boys. 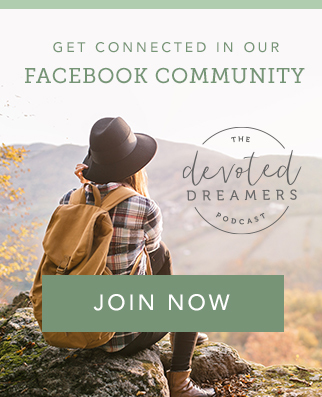 Claire's God-sized dream is to help other women find success in life and business while keeping Jesus at the forefront of their minds and hearts. IF YOU ARE FEELING STUCK ABOUT WHAT GOD HAS NEXT FOR YOU, THIS EPISODE iS FOR YOU. In our conversation, Claire shares what happened when she followed God’s nudge to pursue her God-given gifts while chasing after Jesus and caring for her family. She empathizes with the challenges women face as they attempt to balance family and business, and she shares how she stays focused on Christ and allows Him to guide her steps one day at a time. Claire believes we can approach the throne of God with boldness, and she shares about learning to pray big, specific prayers and why that matters. She talks about the powerful ways prayer has changed her world and how it helps keep her priorities in order. I hope you are as encouraged as I am by Claire and her desire to pursue whatever God has next for her. 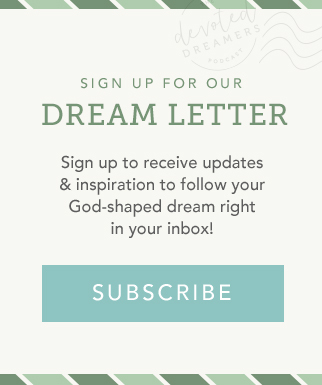 Sign up for the Free 5-Day Prayer Challenge.